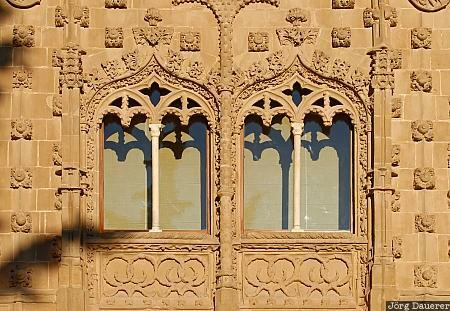 Two windows above the entrance of the university of the renaissance city of Baeza in warm morning light. Baeza is in the province of Jaén, Andalusia in southern Spain. This photo was taken in the morning of a sunny day in April of 2008. This photo was taken with a digital camera.